When it comes to renting cars, people now approach those service providers who offer luxury cars on rent. 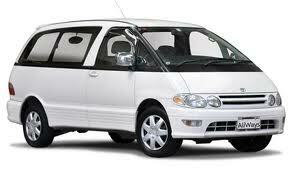 Luxury car renting has become quite a norm in several tourist as well as business destinations. Indeed, it comes as nothing less than a surprise to many readers. Many wish to know why travelers are keener to hire luxury cars on rent when they can easily opt to buy a brand new car from the local dealership store. One of the key reasons why luxury car renting has become so popular is that a buying a brand new luxury vehicle has become prohibitively expensive in today’s times. One cannot even think of buying a new vehicle at times when they are in need of it urgently. However there are more and more car dealers as well as manufacturers that are struggling hard to sell their product offerings. This is majorly owing to the economic meltdown that has hit the entire world. People have no job security and are in constant fear of being fired. In such a grim scenario, people would think several times before they buy a luxury, expensive car. Indeed, people have become much more intelligent and wise in such matters and look to save money to plan their investments and activities in future rather than simply splurging on luxury or expensive cars. Simply put, it is defined as saving money for the rainy season. The second critical reason why people now prefer renting luxury cars is because by renting, they are not burdened with the astronomical maintenance costs that tag along with some luxury and expensive cars. When you do not own a luxury car, you simply are not aware of the maintenance costs and other details that are sure to dent your finances. Most people simply assume that expensive or luxury cars are only faster than the standard ones. Indeed, luxury cars boast of exceptional top speeds. However, they are equally fast in draining all your cash from the wallet. Thus, unless you are pretty confident that you can easily absorb the expenses that come with a luxury four-wheeler, it is only wise that you do not purchase a brand new luxury car. Rather, you can look to rent a luxury car which is a more cost-effective, easy, fast and comfortable option. This way, you not just fulfill all your desires but also get to benefit from the utility offered by a conventional car. You can also at the same time maintain the social status with these renting services which provide you the cars as per your budget and needs to suit all your requirement. If you wish to explore the option of renting a luxury car, then even this involves wise and prudent thinking. The luxury rental car scene is teeming with abundant service providers. Indeed, to choose a right one among these is something you will have on your mind before you end up renting a luxury car. First and foremost, you need to keep in mind that getting a luxury car on rent is going to cost you. However, it is certainly not as expensive as what is proclaimed or touted by car dealerships and car manufacturers. Remember that they are already having a difficult time at moving their products off the shelf. Thus, it only goes without saying that they will portray car renting in a bad light.